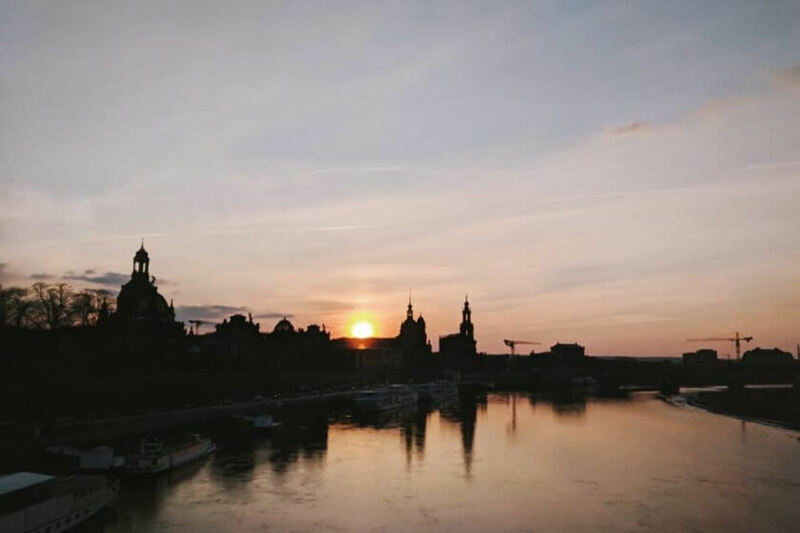 In Germany, the city of Dresden has become the centre of political debates in recent years, take the refugee crisis, the nation’s and Europe’s response to it and growing right-wing extremism (like the weekly PEGIDA demonstrations). 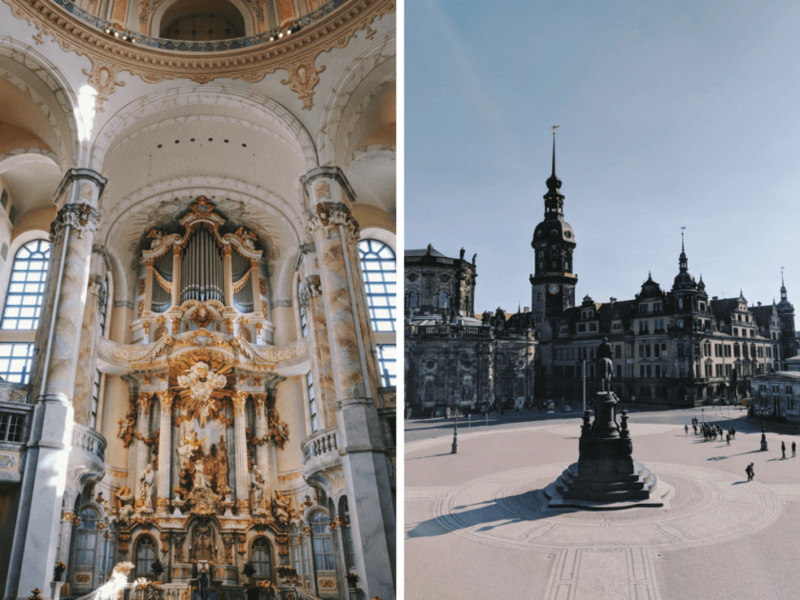 I know, this is not your typical intro for a travel piece but it’s impossible not to reflect on Dresden’s history and present if you’re serious about getting to know a place. Speaking of history: Dresden’s past basically is a list of both horrific and astonishing milestones. Before World War II, Dresden, the third-largest city in eastern Germany, was called the “Florence” on river Elbe thanks to its stunning architecture and art. In February 1945, it was almost completely bombarded and destroyed by Anglo-American forces, leaving 25,000 civilians dead. 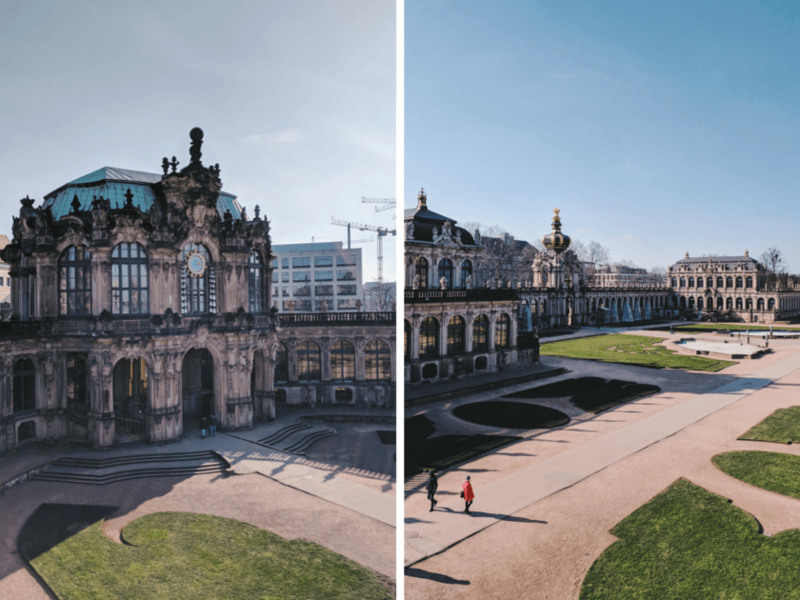 Although there were suggestions to completely level the city centre, historic sites like the Zwinger, the royal palace and some buildings around it were rebuilt. The rest of the city was reconstructed with modern buildings and green spots in an attempt to recreate as much of the old character as possible. The Frauenkirche (Church of Our Lady), Germany’s largest church was completely destroyed and left in ruins until the 1990s because the communist GDR didn’t exactly have an interest in preserving any religious sites. But imagine what it must feel like to walk through the city centre and pass these gigantic ruins… It wasn’t until 2005 that the reconstruction was finished (using the stones that were still there where possible) and the Frauenkirche opened to the public again. Beautiful side fact: The cross at the top was built by a British silversmith, the son of one of the pilots who had dropped bombs on the city. So much for history. 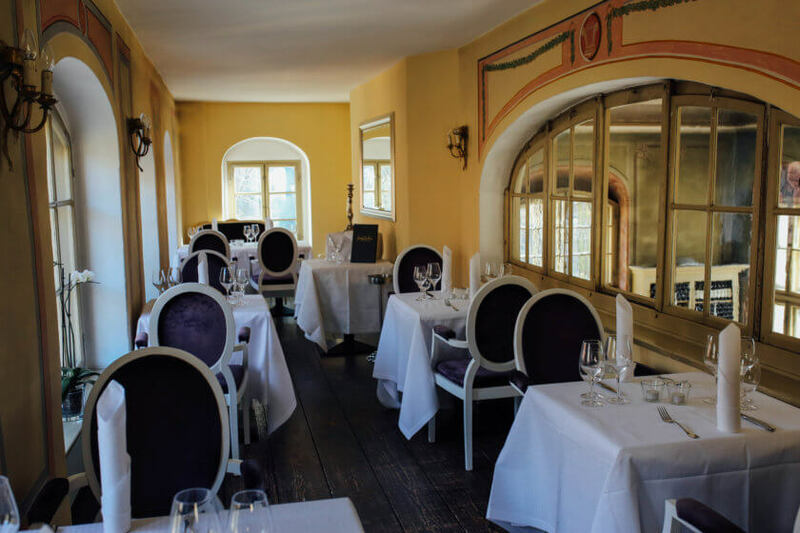 When I recently researched weekend vacay spots that are close enough to Berlin to not spend half the time on planes/trains/buses, I came across the hotel Villa Sorgenfrei in Radebeul is run by restaurateur Stefan Hermannwhich and a 20-minute car-ride from Dresden. 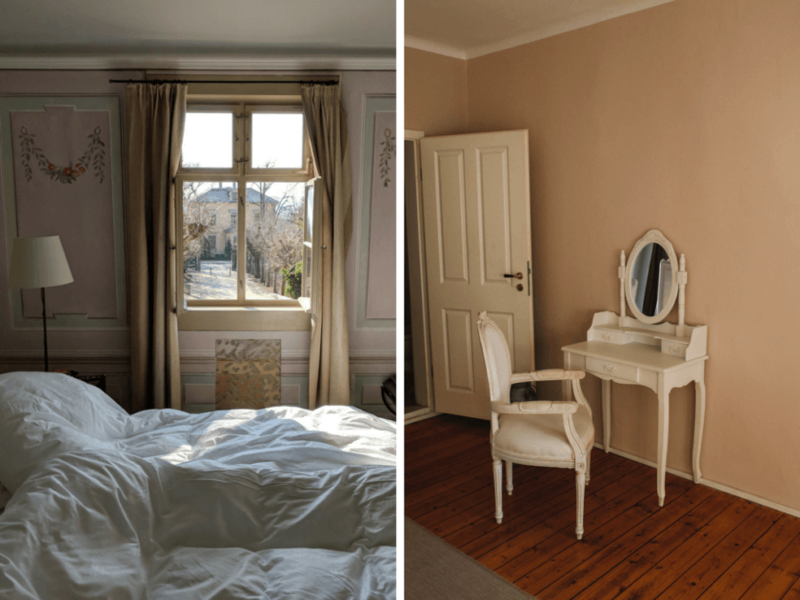 Villa Sorgenfrei really is a villa; sleeping in the spacious rooms with a view over the countryside is incredibly soothing and romantic. After waking up, it always took me a split second or two to remember where I was and that I haven’t turned into a wealthy princess overnight. Duh. There’s a lot of old-world-charm to be found here and I swear the air is 100% better than in Berlin. 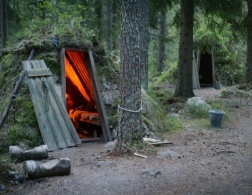 Must be down to the trees that have been there for several centuries and the surrounding parks. 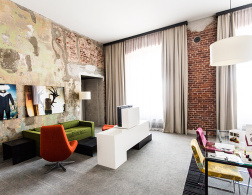 The hotel is a beautifully historical building with a lot of 18th century charm. Every room is different but they all have vintage wall art and really old wooden floors. 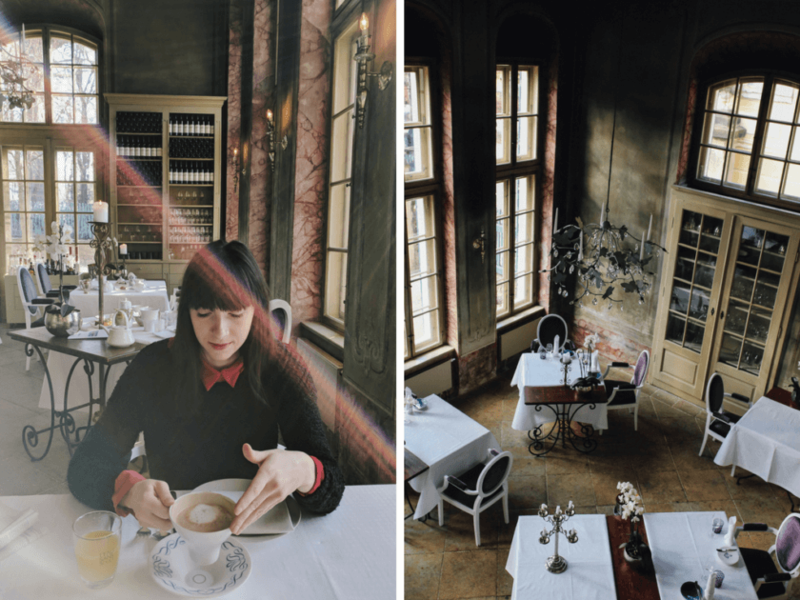 My personal highlight has been the restaurant, the Atelier Sanssouci which is located in a former orangery which blew me away on every single level. That’s quite the achievement, let me tell you. The food along with the wine – need I say every course has its fitting wine? – was an incredibly emotional experience, I swear I spotted a tear or two in my eye because the combination of modern fusion and traditional was unlike anything I’ve ever had before. Eating there under chandeliers and next to candles was hands down the best dinner experience I had in years, possibly in forever. 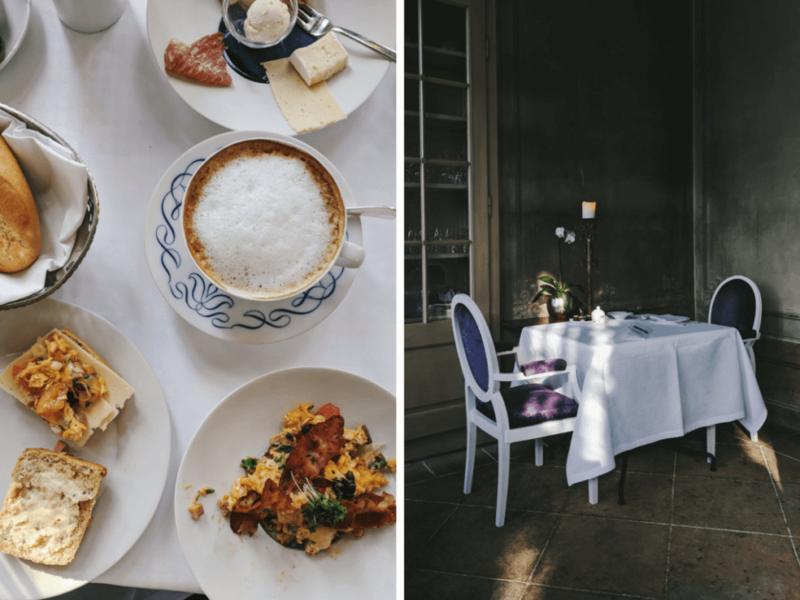 If you book your overnight stay, there is the option of upgrading your stay with a dinner at Atelier Sanssouci which I highly recommend to do! It is pricy but this is not one of those dinners that you’ll forget the second you fall asleep. 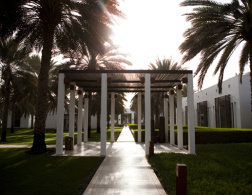 Villa Sorgenfrei is a small hotel whose staff pay a lot of attention to detail. The epitome of quality of quantity. They will ask how your day was or if you need any advice exploring the area. Marcel Kube, who is the chef, never failed to make us feel incredibly welcome and special when we were still sleepy over our breakfast or dinner. That’s the standard procedure there, I promise. Although it was far too bloody freezing to even think about using the day beds and sunbathe in the Sorgenfrei garden, it was impossible not to see how it will turn into an absolute dreamboat in spring and summer. In fact, people regular get married around the little fountain, so… any questions left?! After being well rested and fed, we popped into Dresden for day trips and nearly froze our butts off because spring is still very far away in Germany… Anyway, let’s get down to business: I’ve mentioned a bit of Dresden’s history before, especially the Frauenkirche. Even if you’re not religious, it is a hugely impressive and atmospheric piece of architecture. If you’re interested in the reconstruction process, there’s a little museum in the church’s attic. 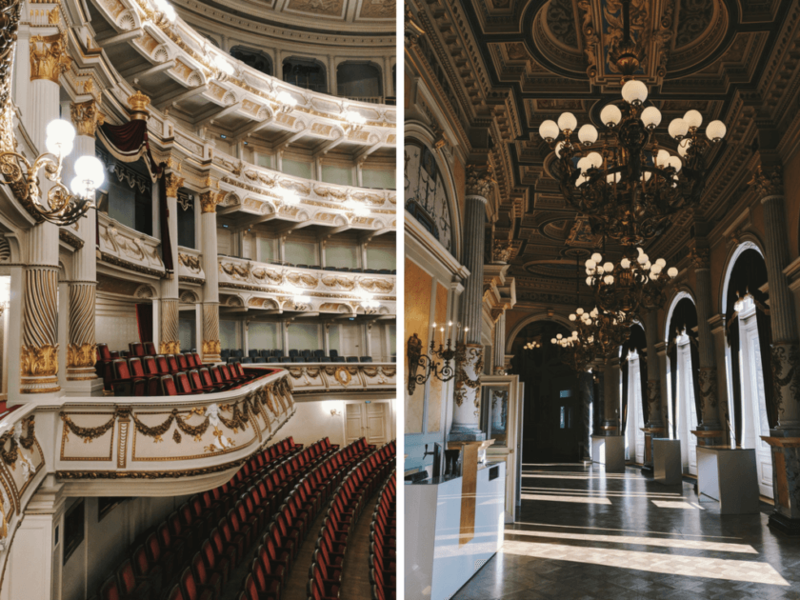 Another pompous building that I’ve often heard of but never been inside is the Semperoper, Dresden’s big opera house. We did a tour and watched the stage getting prepared for that night’s performance. Looking up the walls is a bit like time-traveling and it definitely makes sense to have someone with you there who explains who all those ladies and gentlemen are… Also make sure to attend an opera if you can, tickets are more affordable than you think! 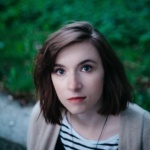 My last visit to Dresden was around eight years ago before I graduated from high school – this is when you get old – and I remember that back then, the district “Neustadt” was totally up and coming, like Kreuzberg in the late 1990s. Fast forward to 2018, locals were complaining about gentrification, like everywhere really, so a lot has changed. Rents are higher, artists are moving out to cheaper places, you suddenly find a lot of really pricey vegan cafés… Y’all know the game. Nevertheless, Neustadt is still a pretty great place to spend an evening. There’s numerous bustling bars and concert venues. The Kunsthofpassage is a bunch of small artsy boutique shops and outdoor cafes (perfect for summer I’m guessing!) 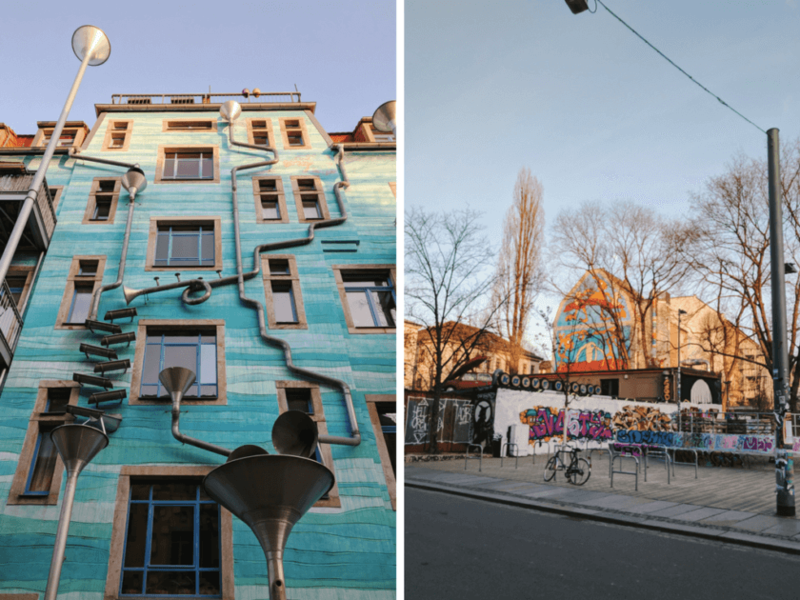 surrounded by street art installations. 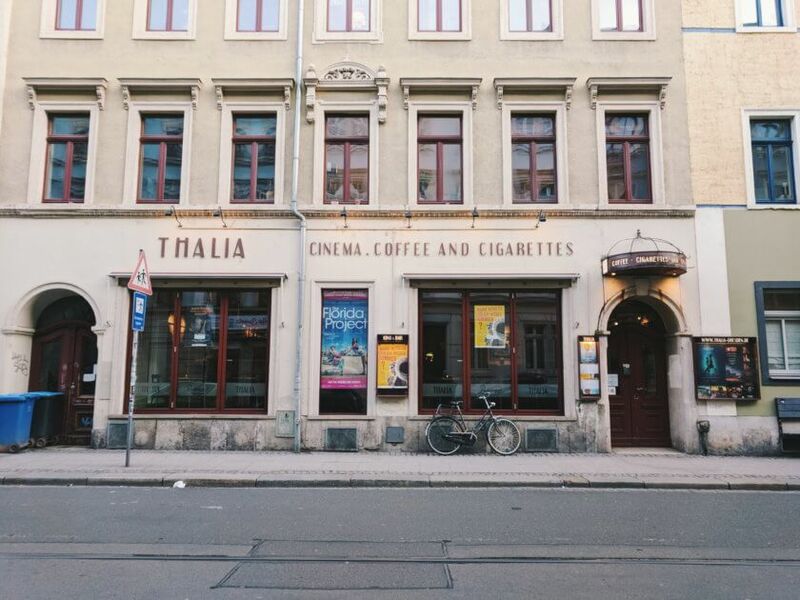 Alaunstraße and Rothenburger Straße are equally filled with great eateries and alternative stores. Also: There’s an annual street event called “Bunte Republik Neustadt” where locals put up a stand on the street and do all kinds of fun stuff. Now we actually planned on visiting the German army’s military museum (Militärhistorisches Museum der Bundeswehr). Very niche, I know, but it has a excellent reputation. 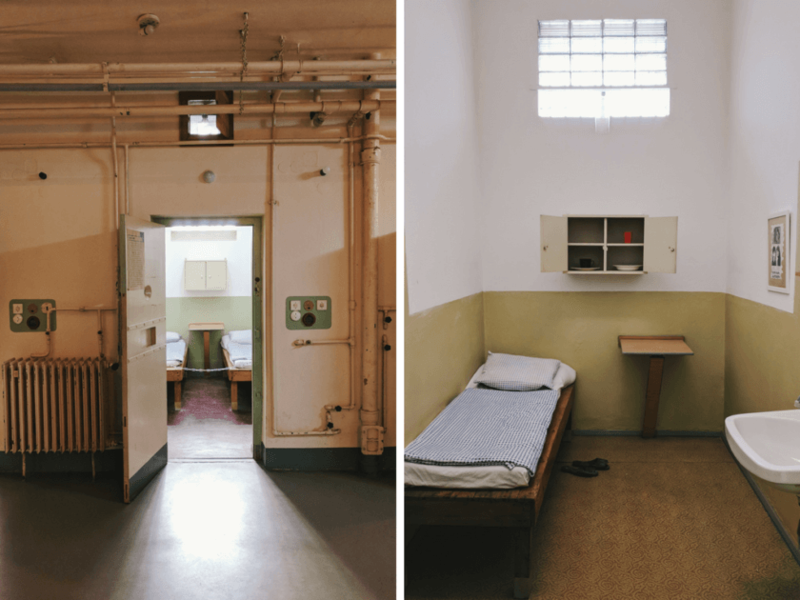 Unfortunately it’s closed to Wednesdays, so we decided to go to a former Stasi (State Security of the GDR) prison, the Gedenkstätte Bautzner Straße. It’s a dark and cold place that is very hard to describe with words only. 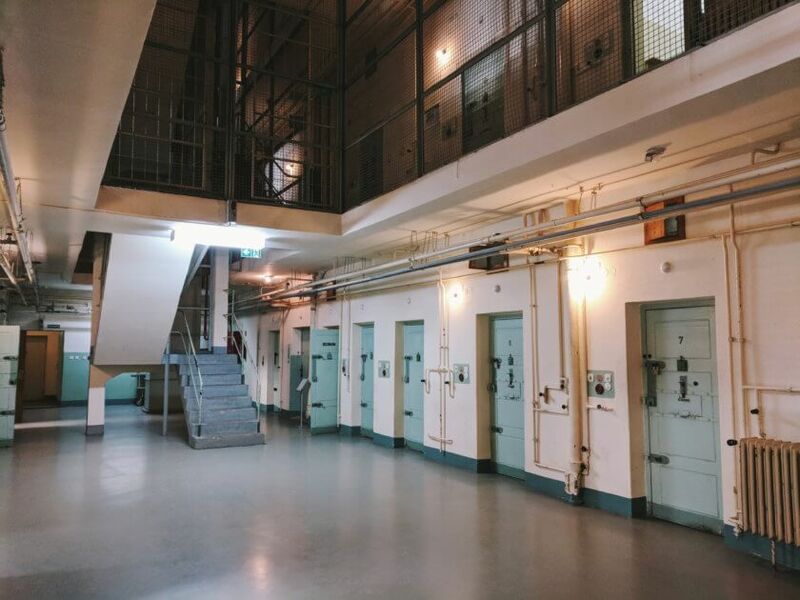 You really have to be there to get a sense for the hopelessness and the injustice you must feel when imprisoned for purely political reasons. It’s a feeling I thankfully don’t know, but it’s one that many activists and journalists in Turkey, Egypt and many other places face. The museum is a reminder to not take freedom and democracy for granted and indeed fight for it every day. 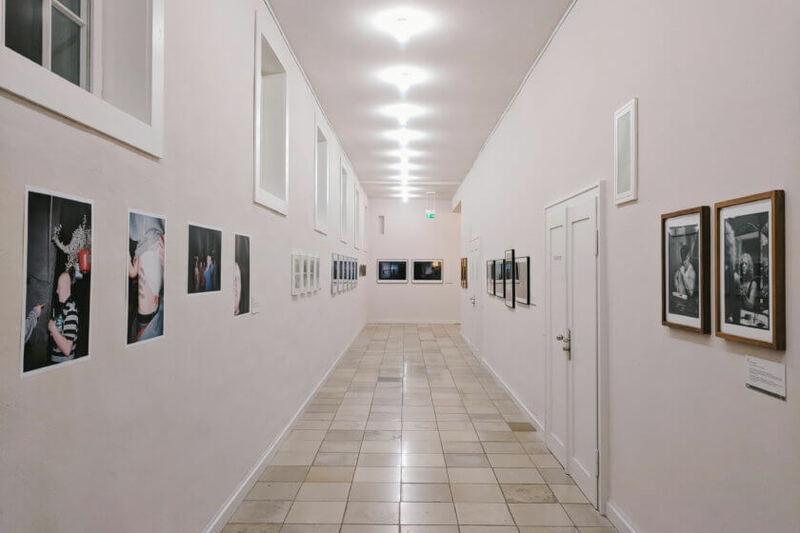 A gallery that couldn’t possibly be any different (hey, that’s Dresden) is the Galerie Hellerau which technically is still in Dresden but it does take a short bus journey from the city centre to get there. The festival hall Hellerau was built in 1911, it served as a military camp and was then used as hospital by the Soviets is a very wide and heavy building. 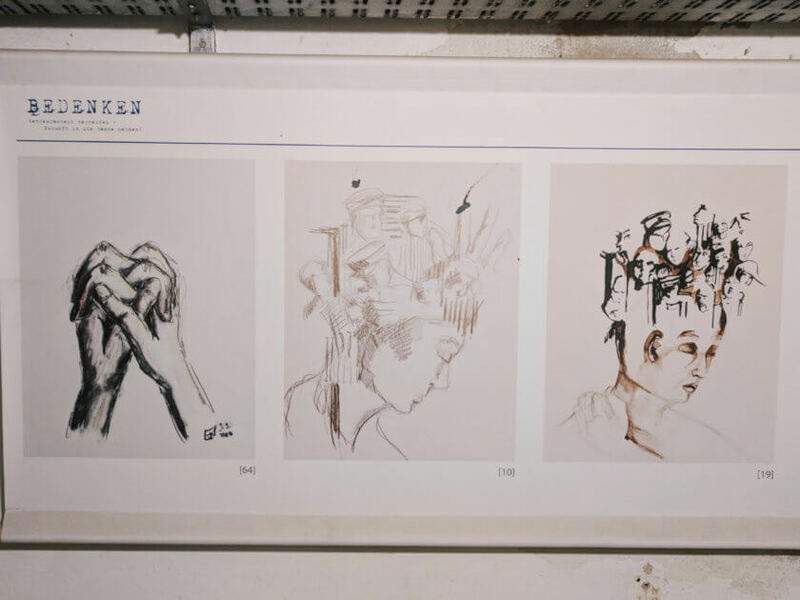 It was turned into an exhibition and event space during the 90s. 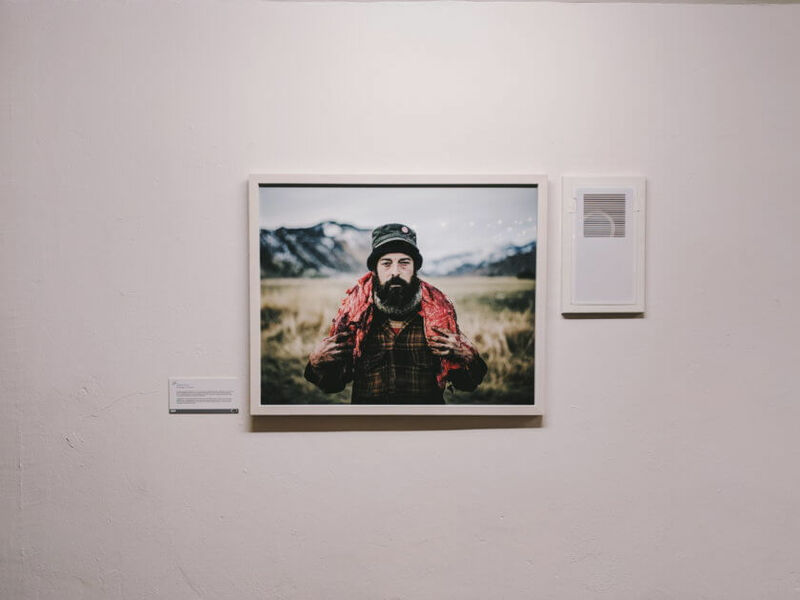 I went there for a photography exhibition: Galerie Hellerau hosts an annual photography award (“Portraits”) where both seasoned photographers and amateurs traditionally get their space. César Dezfuli accompanied several refugees from North Africa on their journey to Europe. His portrait series (“Passenger”) are very sober and documentary which makes the series all the more touching. 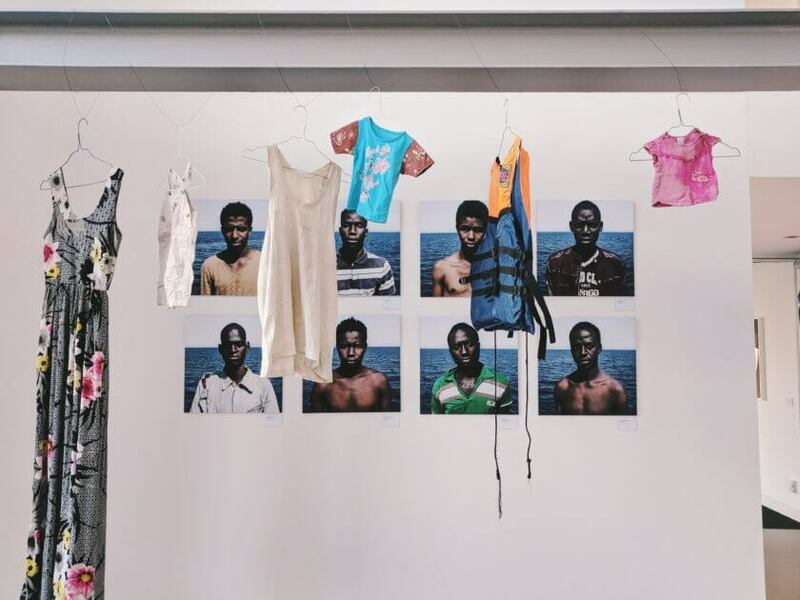 You can watch a full exhibition featuring photos, swim wests and old clothes soaked with petrol at the communications agency “Oberüber Karger” in Central Dresden among office tables where people are working – which has a very bittersweet taste. 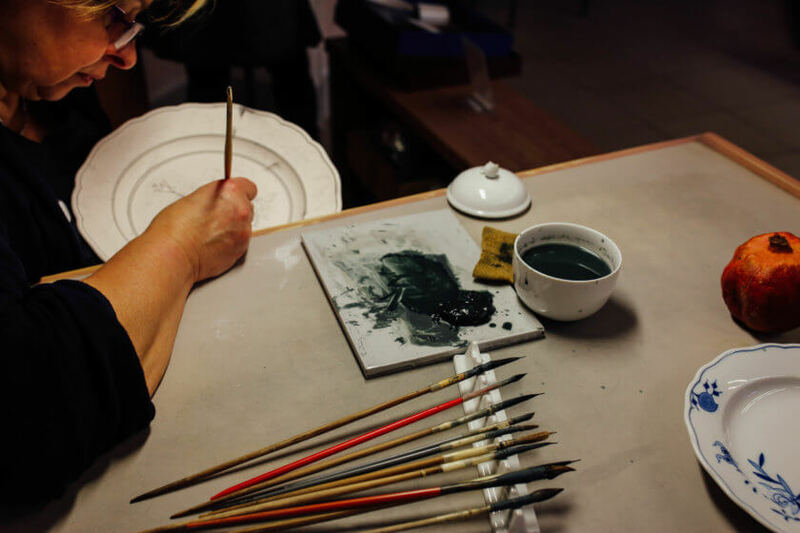 Did you know that Europe’s first porcelain was produced in Germany? I had no idea. 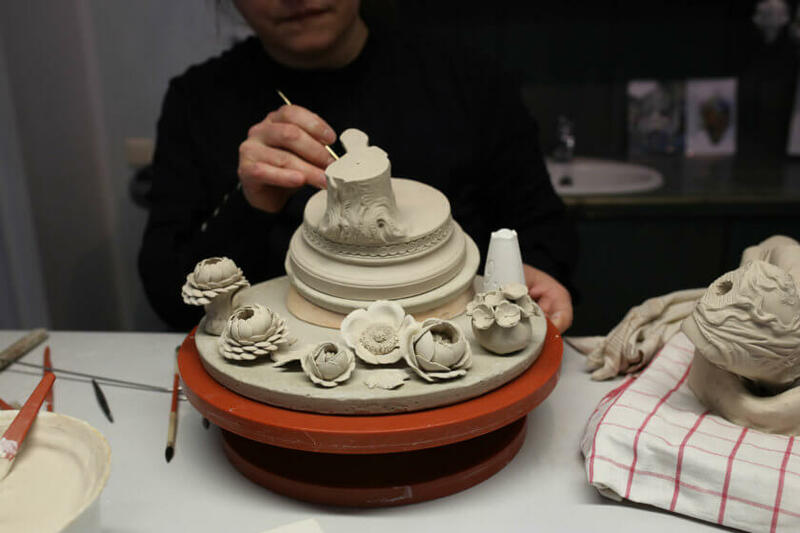 What was later known as the porcelain manufactury Meissen had been experimenting with making their own porcelain – as opposed to importing it from China – in the early 18th century. 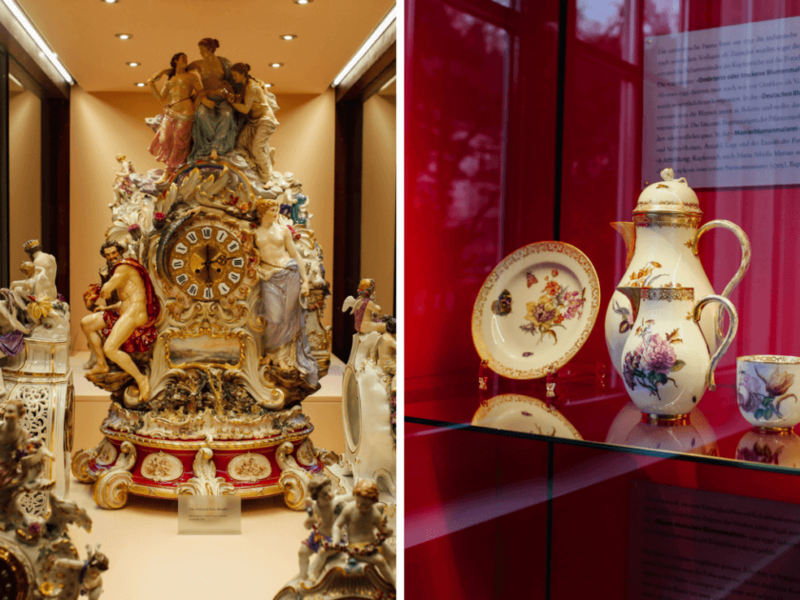 Augustus the Strong, the Elector Prince of Saxony and the King of Poland funded the research and ta-dah, the first white porcelain was produced in 1708, the brand Meissen was born and it is still flourishing until today. Yep, that is 300 years of history, trial and error and the famous crossed swords that are on every piece. 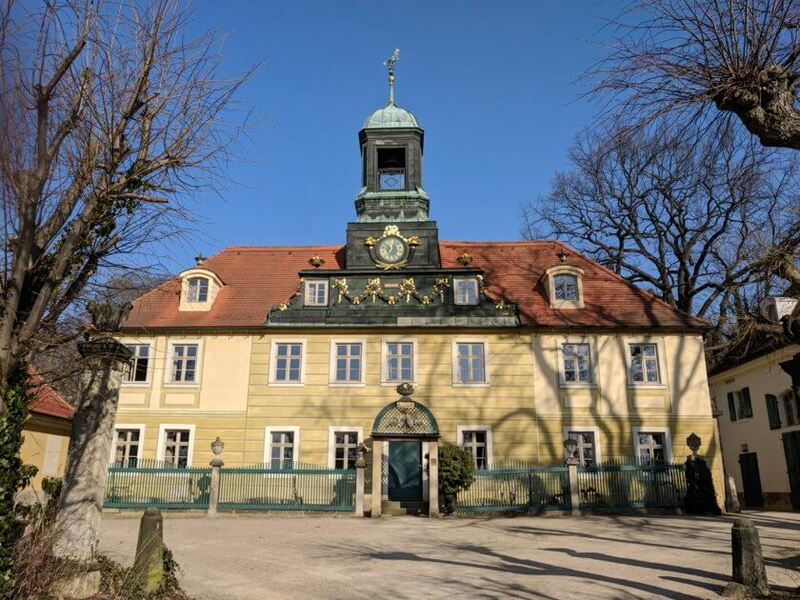 The manufactory was originally built into Albrechtsburg Castle – another beautiful landmark in the town of Meissen – in 1710 but as the factory expanded, it was moved to “downtown” Meißen where there’s enough room for a little museum, several showrooms for visitors, a store where you can buy the porcelain and of course the factory where every single piece is still handmade. Seeing this with my own eyes was hugely fascinating: Everyone there needs to pay such close attention to detail, one mistake can ruin the entire piece. Meissen doesn’t just produce tableware, they also do complex vases, lamps, and all kinds of accessories for pompous dinner parties as the wealthy threw them back then. Quite the – albeit pricy – inspiration… Still, the onion pattern is Meissen’s most popular design and I even I recognised it from my grandma’s porcelain collections. 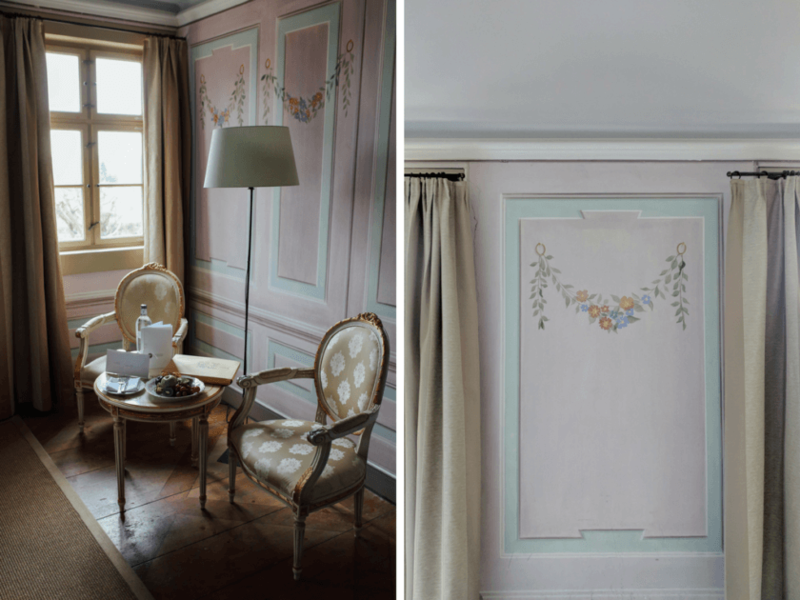 Disclaimer: Caroline was invited by Stefan Hermann to spend two nights at Villa Sorgenfrei. 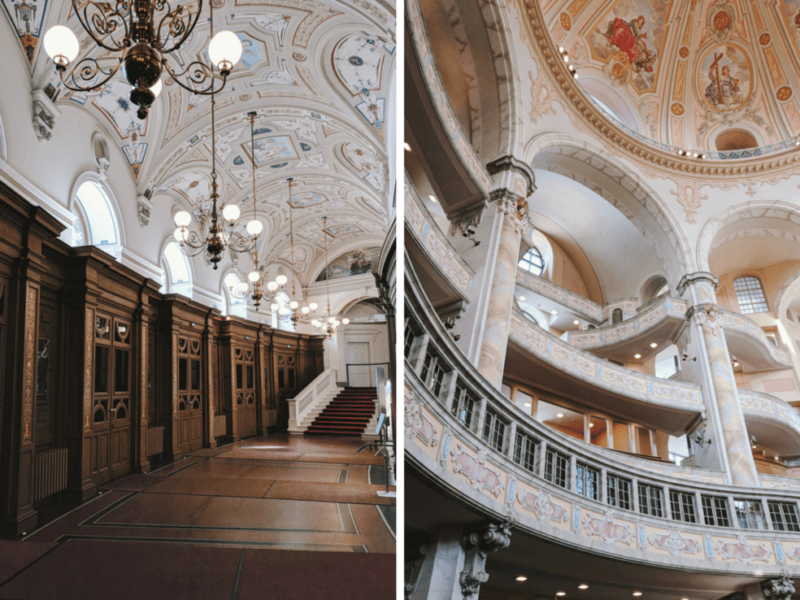 Her city tour around Dresden was organised by Semperoper Erleben.